iGoldMine is the remote desktop option based on the Graphon Go Global. iGoldMine/GO-Global v6 makes it easy to create a secure, private cloud to quickly ‘publish’ GoldMine and other important applications no matter the location – on the LAN, WAN, over VPN and the public Internet. Straightforward to setup and use, it is powerful and feature-rich while supporting medium and large-scale deployments. In today’s workplace many users do their computer-related work from web browsers and mobile devices, but many businesses still rely on Windows applications for mission-critical business functions. Windows applications provide rich, hard-to-replace functionality, however they may lack the quick accessibility options. In most cases they have to be installed on each user’s computer and run by one user at a time. iGoldMine/GO-Global overcomes these limitations. Multiple people can securely and simultaneously run a Windows application on a single computer from virtually anywhere, using mobile devices and Windows, Mac OS X, and Linux computers. 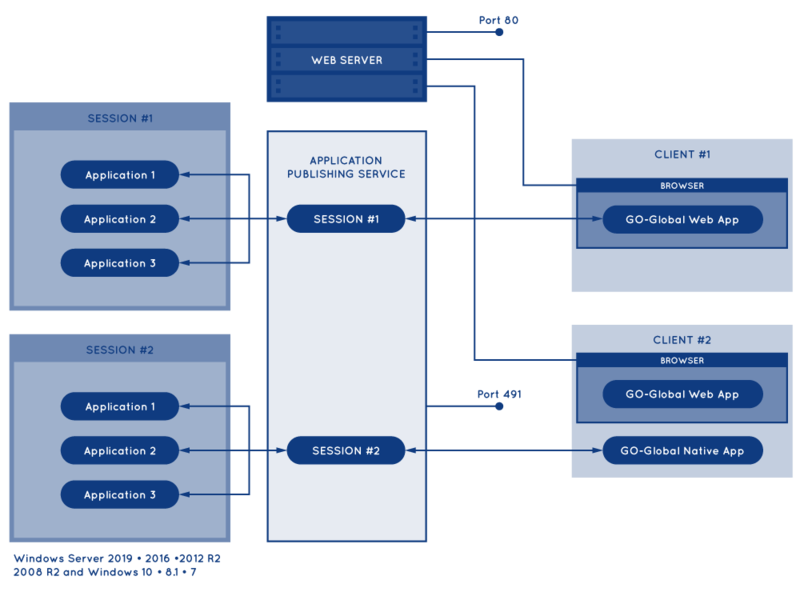 Applications accessed using GO-Global retain 100% of their features, functions, and observes all security in place. See the full list of features and requirements here. 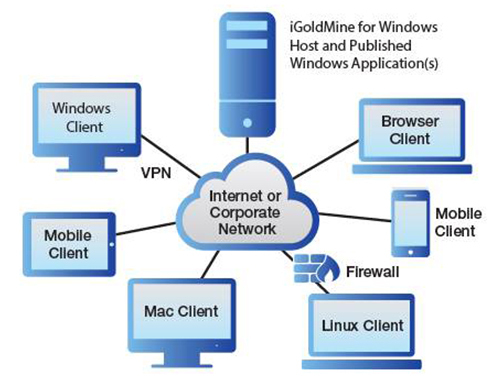 iGoldMine delivers Windows applications and documents to users anywhere, regardless of location, platform, or OS.